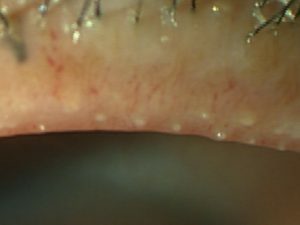 Development of Definitive and Reliable Grading Scales for Meibomian Gland Dysfunction. Arita R, Minoura I, Morishige N, Shirakawa R, Fukuoka S, Asai K, Goto T, Imanaka T, Nakamura M.　Am J Ophthalmol. 2016 Jun 23. pii: S0002-9394(16)30298-7.